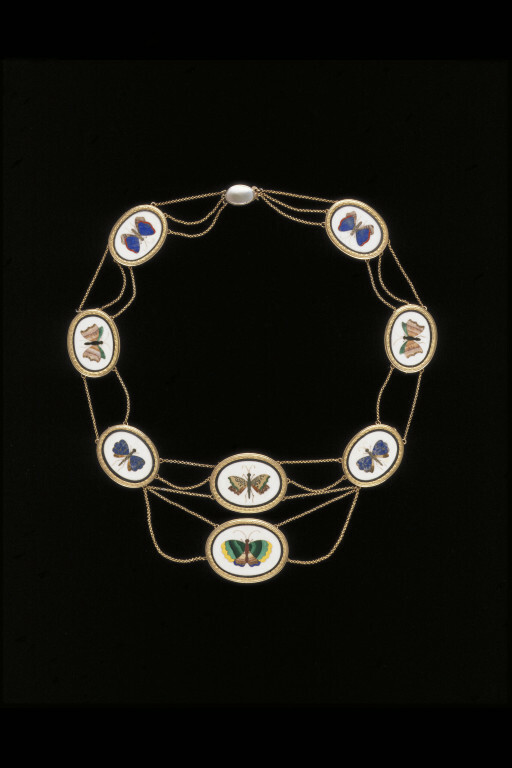 The necklace is mounted with hardstone mosaics of butterflies. They were probably made in the pietra dura workshops of Florence. They were perhaps purchased by a traveller doing the Grand Tour (a tour of continental Europe made by wealthy gentlemen, often to complete their education). It is believed that the panels were made into a necklace by a Parisian jeweller. 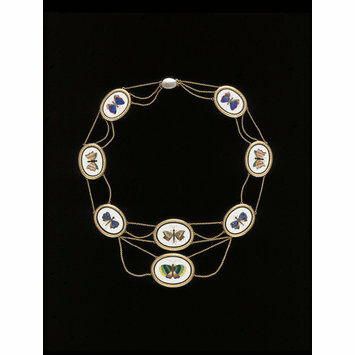 The delicate festoons of chain linking the mosaic panels are typical of necklaces that were fashionable at the beginning of the 19th century. 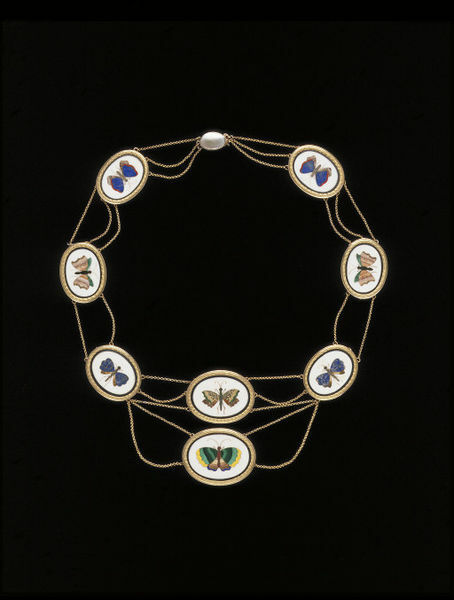 Necklace, gold set with hardstone mosaics (pietre dure or Florentine mosaics) representing butterflies. The units connected by chains.